IDA-STEP v4 is a fully modular application. Depending on licensed and installed components, the whole functionality of IDA-STEP v4 may differ. The components may complement each other or provide completely different capabilities. Read more about the component-based IDA-STEP v4 structure and each component type below. The base IDA-STEP v4 is only a container for all components. When IDA-STEP v4 is downloaded and installed, it has no additional components. 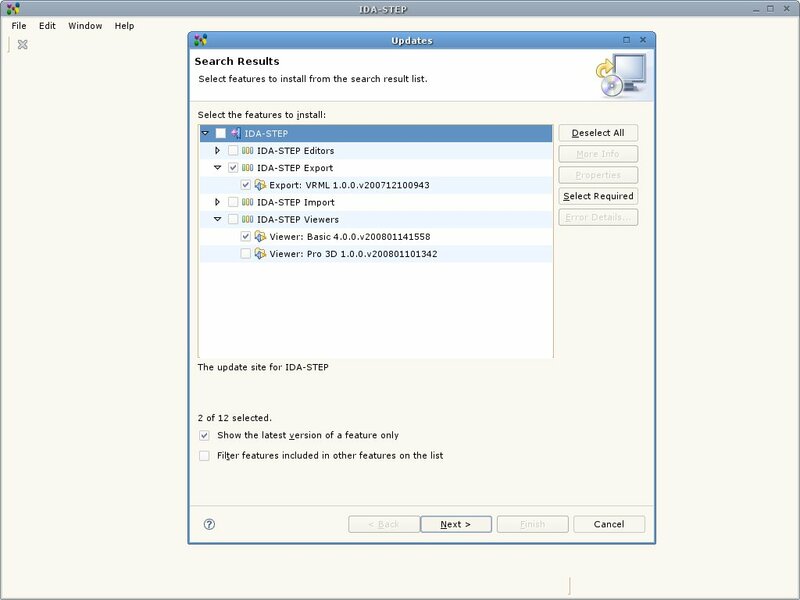 After entering IDA-STEP license or choosing a free license, IDA-STEP v4 application connects to its update site and offers available components for installation. Only applicable components are available - free components are downloadable for all users and purchased components are available for the users, who have bought additional components. The user can choose which components to install and in this way customize IDA-STEP v4 application. Some components depend on other components, therefore an installation of all required components is necessary. For example, IDA-STEP Viewer Basic is a free component, which is a requirement for numerous other components, such as IDA-STEP Viewer Pro 3D. Because of the component-based structure, each IDA-STEP v4 application can be created according to personal needs by combining the available components. User can extend IDA-STEP v4 functionality by small components when required. IDA-STEP v4 viewer components provide data viewing capabilities, for example, 3D model, PCB/PCA data and 2D view, PDM data and more. The actual viewing capabilities and provided user interface functionality depends on the installed viewer components. IDA-STEP Viewer Basic is a free viewer component available for download immediately after IDA-STEP v4 installation. 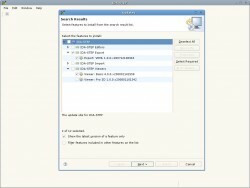 Read more about IDA-STEP Viewer Basic. 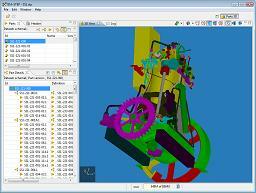 Read more about IDA-STEP v4 viewer components. IDA-STEP v4 editor components provide data creation, editing and management capabilities, for example, PDM data management, PCB layer stack editing and more. The actual editing capabilities depend on the installed editor components. Editor components, of course, provide viewing capabilities for the data that they are able to edit. Read more about IDA-STEP v4 editor components. IDA-STEP v4 can open STEP files or native *.xim files. Support for other file formats is provided by IDA-STEP v4 import components. IDA-STEP v4 import components perform data import from various CAD systems or other file formats to IDA-STEP v4. The data and models from native files of other CAD systems can be imported to IDA-STEP v4 for viewing or management. 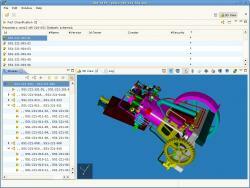 Each import component supports a single CAD system file format. Read more about IDA-STEP v4 import components. IDA-STEP v4 export components perform data export to other file formats. Whole data or just specific parts can be exported to various file formats for futher usage. Read more about IDA-STEP v4 export components.